His acting in Sadgati, Ardh Satya, Bhavni Bhavai, Mirch Masala and Dharavi is par excellence. Om Puri earned National Film Award for Best Actor for his role of police inspector in Ardh Satya. Om Prakash Puri was one of the few actors of Indian film industry who impressed viewers with his performance in commercial as well as art films. Born on 18 October 1950 in Ambala in a Punjabi family, he started doing odd jobs at a very young age. He worked at dhaba and tea stalls when he was just seven. However, that didn't deter him from studying. After completing education, he joined National School of Drama and then Film and Television Institute of India. Do you know it was his NSD friend, Naseeruddin Shah who motivated him to join FTII? Ardh Satya: Om Puri portrayed the role of a fair and frustrated cop in this 1983 movie. 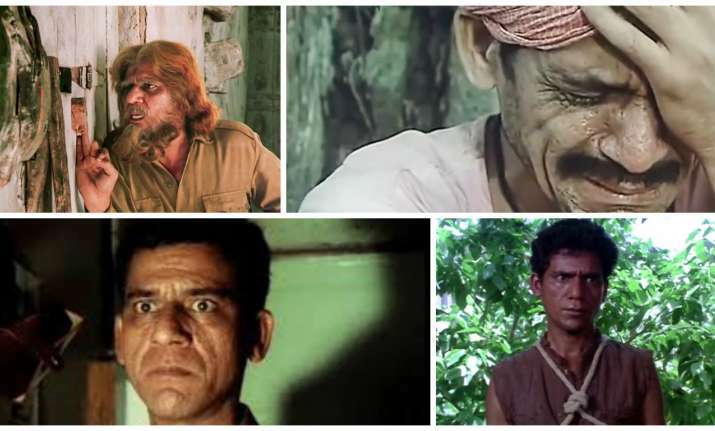 Directed by Govind Nihalani, the movie also had stunning actors like Amrish Puri, Smita Patil and Naseeruddin Shah. Om Puri won National Award for his stellar acting in Ardh Satya. Arohan: The 1982 movie directed by Shyama Benegal had Om Puri essaying the role of a poor farmer who lived in a remote village of Bengal. The movie won National Film Award for Best Feature Film in Hindi. Aakrosh: Aakrosh won 1980 National Film Award for Best Feature Film in Hindi and several Filmfare Awards. It was the debut film of ace director Govind Nihalani. The movie was based on corruption in the judiciary and victimization and suppression of under privileged. Sadgati: Directed by legendary director Satyajit Ray, Sadgati was primarily made for TV. The 1981 film was based on a short story by famous writer Munshi Premchand. Om Puri played the role of a poor and untouchable, village shoemaker. Mirch Masala: The 1987 film directed by Ketan Mehta has critically acclaimed actors in leading roles such as Naseeruddin Shah, Om Puri and Smita Patil. The movie is set in the background of colonial India.